The purpose of this study is to examine and further understand the effects of post activation potentiation on Achilles tendon (AT) thickness, elasticity and stiffness among basketball players. Basketball is one of the world’s most popular and widely viewed sports. 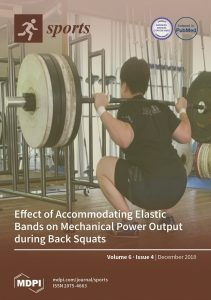 One of the main factors which athletes depend on during their performance is elastic energy coming straight from the AT. Contractile activity increases the muscular force and is known in science as post activation potentiation (PAP). Twelve basketball players (aged 21.3 ± 2.1 years) from the first Polish league took part in this study. The PAP session consisted of single repetitions of the squat with loads corresponding to 60%, 70%, 80%, 90% and 100% of 1 repetition maximum (RM). The measurement method for AT thickness was ultrasonography and for the elasticity and stiffness was myotonometry. The measurements were taken before and immediately after PAP training session. Obtained results: AT stiffness increased significantly from the baseline post exercise, while AT thickness and elasticity decreased after the physical effort. The exercise in PAP caused significant changes in stiffness, elasticity and thickness of the AT.